Start-up pharmacies have traditionally had limited ability to evaluate their performance versus other new pharmacies in their first five years of business. Measures such as sales volume and growth rate are significantly impacted by the longevity of the business. Depending on when a new pharmacy opens for business, market forces can also play a large role in their success rate. 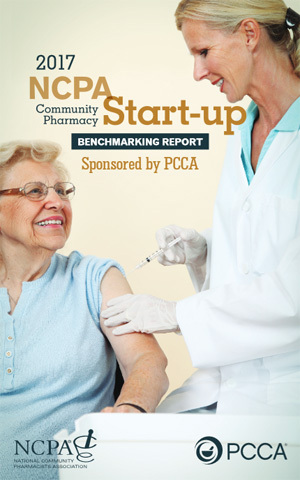 For the second year, NCPA has addressed this gap in benchmarking data by producing the 2017 Community Pharmacy Start-up Benchmarking Report, sponsored by PCCA. New pharmacy owners will find this information especially valuable in comparing their pharmacy's status to other start-from-scratch pharmacies. The report also provides a benchmark of what a new owner can expect in the near future. View the 2017 NCPA Community Pharmacy Start-up Benchmarking Report online.